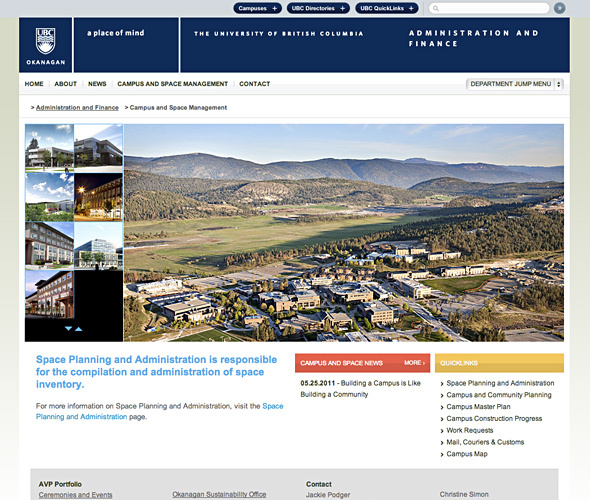 Summary: The UBC Okanagan Administration and Finance website was re-launched with a new focus on the faces behind it’s portfolio. 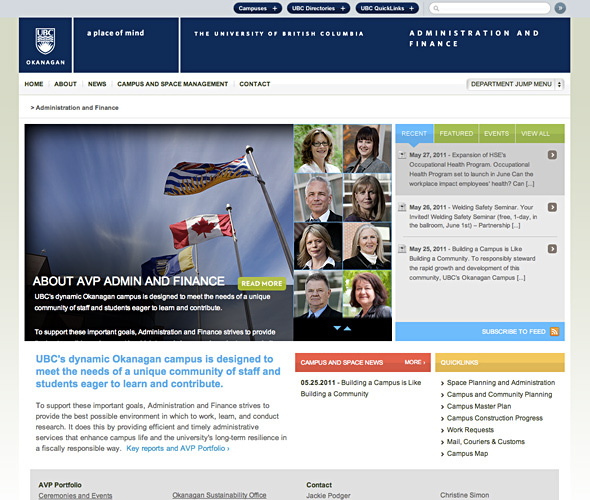 A human face to a very service-based group, the new site features access to information about all key contacts in the AVP Administration and Finance portfolio. 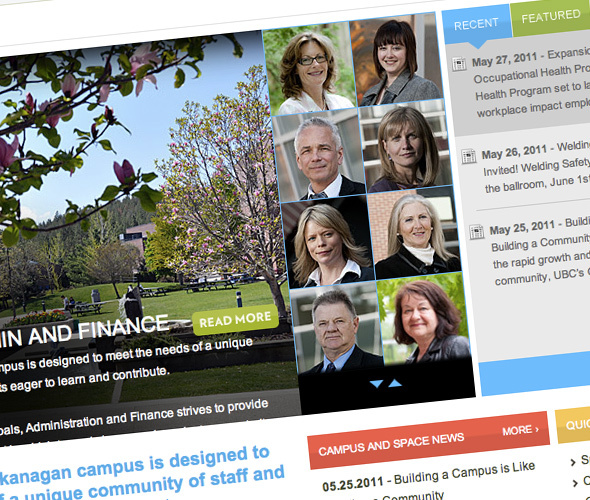 The new site also serves as a showcase for the campus community’s new buildings, facilities and ever-evolving presence. Outcome: Increased focus on access to information about space planning and administration a variety of other campus planning services.